PHOTO BY MARK CHAMBERLIN Jamal Rossi, dean of the Eastman School of Music. As Jamal Rossi was presented as the new dean of the Eastman School of Music earlier this month, both he and University of Rochester President Joel Seligman highlighted the school's history. But they also addressed the task of operating in an increasingly changing music world. "Our challenge in the coming years," Rossi said at the gathering announcing his appointment, "is to enhance that tradition while being bold and courageous enough to transform ourselves and our school into the most innovative music school for the 21st century." While classical music isn't the Eastman School's only focus, it's a strong one. And the troubles of symphony orchestras across the country have been well documented in recent years: shrinking audiences, loss of funding, bankruptcy. That's the world many students at Eastman – where annual undergraduate tuition is $46,150 – will face when they leave. The need for classical music organizations to stay culturally relevant has spawned interesting ideas and conversations about the modern audience. "The concert hall with the two-and-a-half-hour concert is not what's going to appeal 10 years from now, 15 years from now," Dawn Lipson, who chairs the Rochester Philharmonic Orchestra's board, told the New York Times recently. The Times' April 30 story, "Tested Out Upstate: Classical's Future," went on to mention the RPO's "Video Games Live," scheduled for next November and aimed at appealing to broader audiences. "Music is changing," Seligman said in an interview last week. "Music teaching is changing. You need someone who can respect the great legacy of the Eastman School, but help the school with a transition into a brave new world." Seligman said the University of Rochester appointed Rossi dean following a comprehensive international search. His hope, he said, was for a "visionary" who could keep Eastman as a leader in change and prepare its students to succeed in this new landscape. "For decades, if you went to Eastman, a lot of our graduates went on to symphony orchestras," Seligman said. "Now there will be fewer positions in symphony orchestras in the future. For decades we were a school that prided ourselves on American music, but we also had the classical repertoire. The classical repertoire will endure, but it's going to be alongside international developments in music and particularly increased focus on new technology and changing music. "When you ask where are the important jobs for graduates in the future, you see burgeoning opportunities in things like film and related scoring," Seligman said. "Gaming has music. But you also see in many communities a vibrant desire to teach students in high school and college." 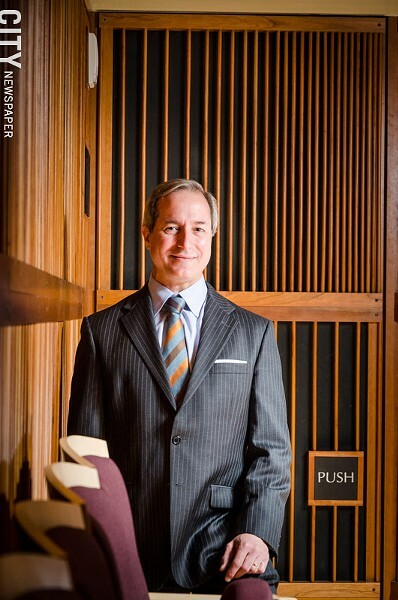 Before joining Eastman, Rossi was the dean of the School of Music at the University of South Carolina in Columbia for five years. 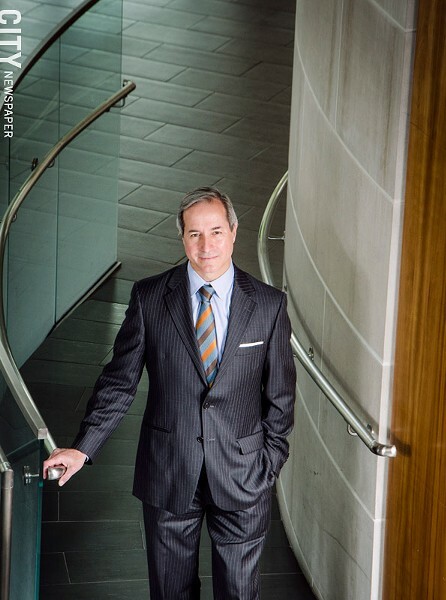 In 2005, he became senior associate dean at Eastman, and was executive associate dean from 2007 until September 2013. Following the illness and resignation of former dean Douglas Lowry (who died in October), he was named interim dean of the school. 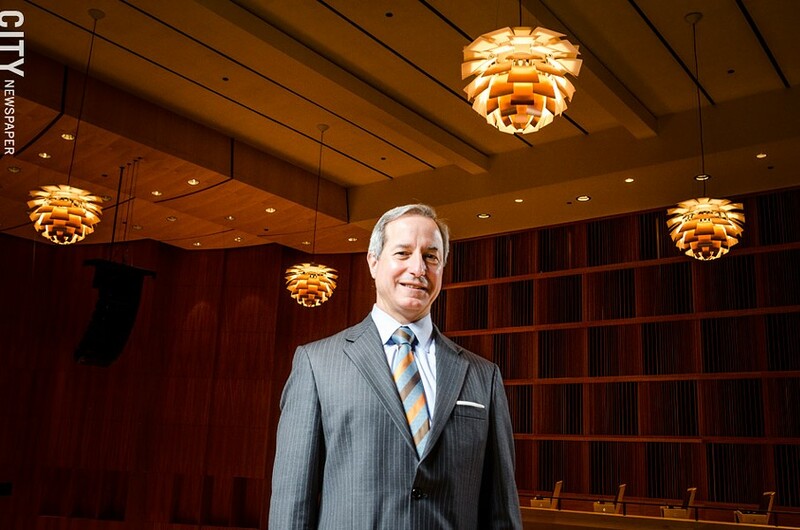 Rossi, a saxophonist and professor of woodwinds, oversaw the $47 million renovation of the Eastman Theatre and construction of the Eastman East Wing. He also founded RocMusic, a partnership of arts and education institutions in Rochester to provide a free after-school music program for Rochester inner-city students. In a recent interview in his office, Rossi talked about the rapid evolution in the music world and how Eastman will charge straight into that future. Following is an edited version of that conversation. CITY: In your speech last week, you talked about the changing face of the classical music world and about Eastman needing to be innovative. Tell us more about your thoughts on the classical music world and where Eastman fits into that world. When I think about where we're heading, it's important to start with where we are today. Quite frankly, I think the school is absolutely remarkable. It is one of the great schools of music in the world; there's nothing broken. We have the most remarkable faculty; we have truly remarkable students. We have great programs. Our undergraduate, our master's, our doctoral degrees: these are the bedrock upon which most music degrees in the country have been built. Things are really healthy and very, very good. But there is no doubt that the classical music world is changing. It's always changing; it always has been. I hope it always does. It's changed in ways that are scary, and we saw in the last five years the number of symphony orchestras, opera companies, or other cultural institutions that have really struggled, and some have even closed their doors. With symphony orchestras shrinking in size, closing their doors, where do you feel the classical world stands today? What are the struggles they face to reach audiences? It's interesting, because when we talk about the classical musical world, that's like talking about "the faculty" or "the students," as if there is only sort of one body. 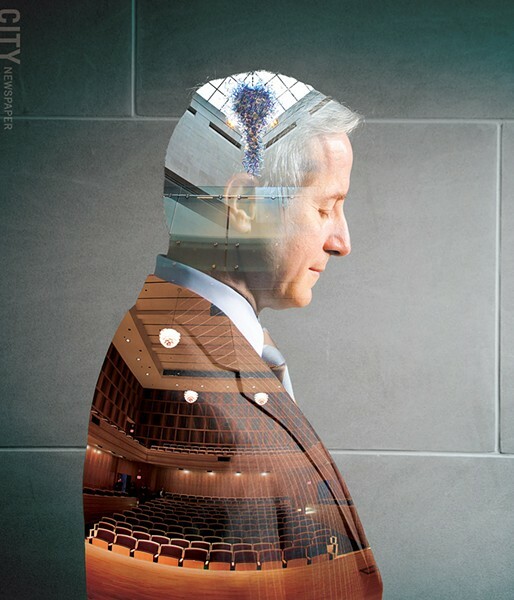 But just as I look at our faculty and say there's not just "a faculty" – I have 100 full-time faculty, all whom are very different and unique in their own ways and special – when we think of the traditional classical music areas, the first thing we think about are symphonies and operas. There is no doubt they have faced financial pressures in the past few years, most of them stemming from the economic troubles of 2008. There was a bit of a perfect storm which impacted corporate giving, individual philanthropy, ticket sales, all of those things together threatened the financial vibrancy of a lot of institutions. But we would be foolish to think that the RPO or any other group has not had financial struggles in the past. It's part of what goes on. Hatch Recital Hall at the Eastman School of Music. 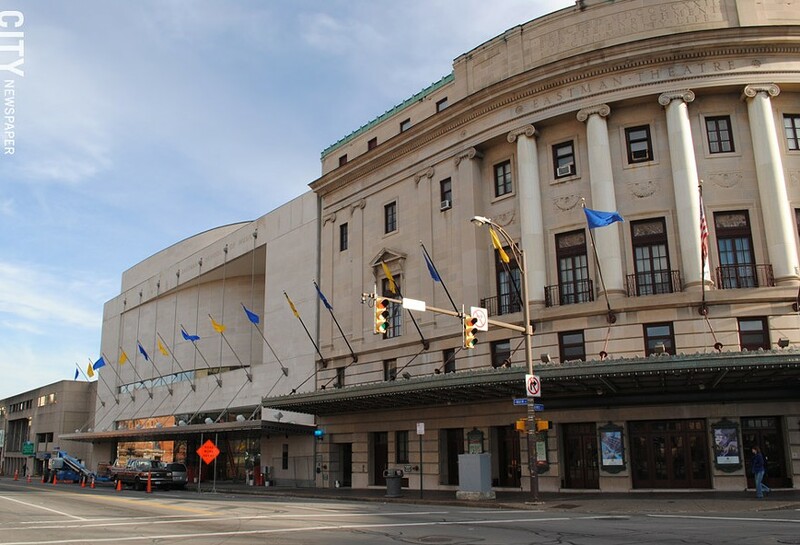 How did it affect the Eastman School? Our sources of revenue are primarily our tuition and our endowment. So like every other institution, every higher education institution, when that stock market trouble came, it impacted the value of the endowment, which ultimately means there's less money to support the day-to-day operations. That put us in a challenging situation of saying, "How are we going to continue doing what we want to do if there's less money?" At least for a period of years. It does come back and in fact has come back. It forced us to think about: What are additional sources of revenue that we could think about? How do we use technology for that? How can technology help solve this? Are there projects there that can further our mission, increase our visibility and create some revenue for us? If tuition is one of the keys of revenue, are there degree programs that might attract a different kind of student that might not have looked at us in the past but might look at us in the future? It's not necessarily saying that we're going to change our direction, because we're not; we're still going to keep our focus on artistry and excellence. So those are the kinds of things we have responded to, and I think by and large it's been both exciting and healthy to do that. Are there specific programs that you want to implement? There are degree programs that we started formulating this year and will launch next year and the year after. We started with what we were calling a Bachelor of Music in Convergent Media. When you read the New York Times and see the groups that are really thriving on stage, they tend to be doing more than just music, or just dance. Our own students today take on these projects outside the curriculum because they're intrigued by it. And so they do these amazingly creative things that I would have never conceived of. That has morphed into three degrees. One we've had on the books for years is a degree in Jazz and Contemporary Media. We have an amazing jazz program, but we haven't really engaged in contemporary media. Even in the area of composition, our students study jazz composition, but we want to re-enliven film scoring, writing for games, writing for digital media. A second is a degree that we've had, but no one really knew about it, called the Bachelor of Musical Arts. This is for a student that has come to Eastman and they realize once they're here, "You know, I came to be a trumpet player, but there's so much more that I want to do." We enabled students to really create their own degree. They still have to be that trumpet major, but they can either merge it or create something new. The last one we're going to do as a master's degree, to make certain they already have a solid musical education, and it will be called a Master of Arts in Convergent Artistry. This is an idea where we will partner — and we've talked with some organizations, but we have a lot of work to do yet — we want them to be able to do a project with RIT or George Eastman House or with Garth Fagan Dance, or with Strong Museum, or any number of organizations where they can do a true collaborative project. Those are some degrees we're working on right now, and I think in the next two years you'll see them launched and with students in them. You were talking about a performance with a lot of media going on. Do you see that as a trend in the music world entirely? People aren't just going to see a performance, they're going to see video, lights, a grand presentation outside of just the music. I think part of it is people trying to understand how we enliven music. How can it thrive if some areas are struggling? In that sense I would say yes, it is changing — I'm not sure I'd say it's a trend. But on the other hand, it really has been a part of music forever. If you think about the great works of Tchaikovsky and Stravinsky, much of their great music was written for ballets, with scenes, with dancing. Opera has always been a collaborative area where lots of things have come together. And even contemporary opera today: Many of the scenes are done digitally and projected. In some ways it's always been part of the history of music, but I definitely see our students engaging in it more today than five or ten years ago. Part of it too is so many of our students — we primarily do classical and jazz music, but that doesn't mean that's all our students listen to. Many of them listen to the entire world of music out there and they come in with rock or indie, or some other things, and they want to bring these things together. In these new degrees, we want to give them the license to do that. Have you found, here at Eastman, that people are open to this idea, or have some felt, "This is the way it's been at Eastman. Why change?" You should think of Eastman like you would think of any other community. Those communities I think are most vibrant have a wide range of opinions in them. A community where everyone thinks exactly the same [he laughs] — I don't know: it's not natural. I don't care if you're talking about a church, a softball team, whatever it is, you have different opinions. And I think in an academic institution it's those people that have different opinions that make each other think. I embrace that. In this area here, most people are saying, "Absolutely, we should be thinking about this." I would also say there's some hesitancy about, "We don't really know what it means — what does it look like?" I haven't gotten a sense of anybody pushing back and saying no, this is just the wrong thing. My sense is, most communities are more open to embrace that change when it's additive, meaning yeah, I can still focus on this. Do you feel Eastman is doing enough to promote itself? I think we work extraordinarily hard to get the word out all the time, and I think there's always more you can do. The key is making sure you're hitting the right targets and the right people. There are different audiences. A key audience is future students and their teachers. I think it's important to realize how it is a student comes to music. My experience has been that a student comes to music because somewhere along the line — 6th, 8th, 10th grade — they've just experienced music in such a profound way, they feel they need to do this. At that point, what they're looking for is the most outstanding teacher of their instrument, or their area. They may not know, but their teachers will have opinions about, "You should look at this school or that school, or this teacher or that teacher." That's one target, and we're constantly getting word out. The other target is with things like big initiatives, when we're going to do something that we want to engage in the national or international community. That's a very different thing. That's not something a student is thinking about. But it's very critical in terms of where we're heading as a future in music and how we have that conversation. Things like holding a national or international conference in New York City with this very respected group, Chamber Music America: that's the kind of thing where we want it known in big media markets. We want to get that word out. We're constantly doing these two things: the big messaging and the "Hey, we have the world's greatest saxophone instructor here and you as a saxophonist need to know that." With these three new programs, you'll want to expand out and say "Hey, we have this program you'll only find at Eastman." And that's both kinds of messaging. We want potential students to know, but it is the kind of thing, too, that — like the Collaborative Artistry degree, I'm not sure if it's the first of its kind, but I think it might be. What we found when Eastman created the doctorate in the 1950's, the Doctorate of Musical Arts, and when we created the institute of musical leadership in the 1990's, it was somewhat groundbreaking and you see other schools follow that. I think that same thing might happen here. Is the introduction of the Eastman Presents series a way you see Eastman reaching out to a wider audience and saying "Hey, come see what we have going on"? Absolutely. I think if we want people to care about music and specifically classical music, they're only going to care if we're making a significant difference in their lives. 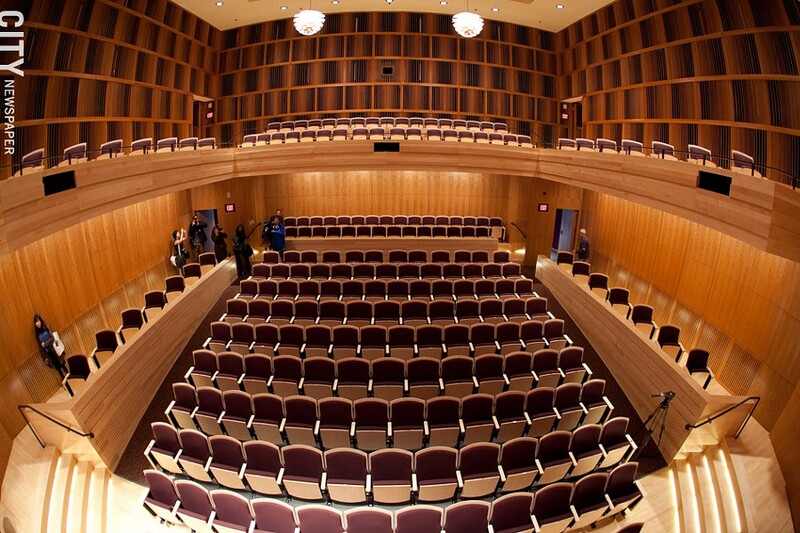 Just giving concerts in the recital hall doesn't necessarily touch people's lives. Those who come enjoy it, but why should people come? People come when you make a difference in their communities. We just put together a site about a month ago: we have 26 community outreach programs, and there was no one place you could see all those things, and we're growing those. The Eastman Presents: we can hopefully bring people in and they can have a fantastic experience. And I hope part of it is also is: "Wow! We should come back here for Jason Alexander, but maybe I'll come for Peter Serkin with the Eastman Philharmonia." It's a way to cross-fertilize people's interests. Should music schools approach teaching in a different way? Is there a need for innovation in teaching methods as well? I've not thought about it in that way. One of the wonderful things about being in an academic environment: there is change when hiring new people; new people come in with new ideas and ways of doing things. But it isn't sort of like something has to change. I'll give you an example I've used before, because I'm still trying to understand what the magic is. I've mentioned we have the world's greatest saxophone professor, Chien-Kwan Lin — and I'm not kidding, we have the world's greatest saxophone professor. So this fellow has been on the faculty for 10 years. He's not doing a thing different than grade teachers have done for hundreds of years. But there's something about it that his students are so incredibly fired up and they are performing at such a high level. There's nothing new he's doing, he's just doing it in a way that's incredibly inspirational. He's set standards and expectations and the students are like: "Give me more." I don't think it's new or different, or people need to change their ways. I just think people need to be exceptional at what they do, and that's who we try to hire. With shrinking symphonies, do you see that there might be a trickle-down effect to music schools? Since there won't be as many jobs, there won't be as many students coming into schools? Potentially, but I don't think that's where the issue is. I think the issue, even affecting the symphonies, is that we're looking at the wrong end of the spectrum. To me the issue is what's happening in the public schools, or more appropriately, what is not happening in public schools. Since the emphasis on STEM — science, technology, engineering, and math — arts programs in public schools have been marginalized more and more and reduced from the curriculum. I believe that has nothing to do with the fact they're not valued, or there's some terrible school board. I think it's about money and the fact that those other programs are now mandated and most arts programs are not. So even those school districts that have great arts programs are being forced to cut them. For instance, in 1999 there were 1.1 million public school students in California in music programs. In 2004, there were 470,000. And with that was a reduction of about 1,000 music teachers. The reason I started RocMusic is that I believe every child has the right to make music — and making music isn't the same as going to the symphony one time. It's holding an instrument, struggling through it, learning how to play communally or sing. If children don't do that, I don't know why we think they would come to a concert when they're 50 years old. When I think about the symphony struggling, for decades... I guarantee you I could find an article from the 1950's called "The Graying of the Audience." So this isn't necessarily a new worry? The graying is not an issue. I think there's a natural flow. People who experience music but didn't go into music, they go on to have careers; they raise their families; they're earning; and at some point the kids leave home. They're earning more money in their 50's than they were in their 30's, and wonder, "What do we do in our spare time? Well, I loved music." And they start coming back. But if children don't experience that, they don't know that in 30 years they'll come back. When I see struggles of symphonies, opera companies, or other things, it's more a question about who cares. Does society care about these things? Those changes have created other dynamics in the way students are learning music, and I think some of the changes can be very good. I'm not sure how many music programs there are in the country — I think about 700 are accredited and another thousand that are not. I'm not sure if all 1,500 or 1,700 can thrive if the number of children studying music continues to go down in public schools. You started RocMusic, a free after-school music program. Are there additional programs Eastman is eyeing in the near future to reach out further into the Rochester community? Not that I could talk about right now. RocMusic was something that's been in existence since fall 2012. The group of collaborators — Eastman Community Music School, the Hochstein School of Music, RPO, the City School District, and the City — we started meeting a full year and a half before that, so when you have the CEOs of all these organizations meeting weekly for a year or more to put this in place, it took a lot of planning. We have about 65 students, and it's tuition free. The idea is for these students to really experience music regularly. The young students are doing general music and movement, and the older students are using string instruments. These kids are absolutely on fire; there was a remarkable benefit concert three nights ago. It's fantastic; one mother came up to me and said "This program has transformed my son's life. Never in my wildest dreams did I imagine he would have this opportunity. Next year he's going to [School of the Arts] and he's accepted into the Eastman Pathways program. My son has opportunities I would have never dreamt before." Our immediate focus is on growing that program. We have 65 students right now at the David F. Gantt community center, we could probably increase those numbers a little bit, not too much there, but we want to move into a second and then a third community center. That's what we're planning right now. Eastman School of Music Dean Jamal Rossi in the Hatch Recital Hall. A lot of the programs were the initiative of an individual or group of individuals, so for instance, there's a program called If Music Be the Food. This was started by our viola professor Carol Rodland, and it was a concert series where the price of admission is food and it all goes to Foodlink. I think she does three a year, and the interesting thing is if you look at Miami and Boston and lots of other places, they now have If Music Be the Food programs. That's the kind of thing we want to see happen. It wasn't a school initiative, it was one person's passion. There are many of those programs out there. How do you see making an Eastman education affordable for students who want to find a position where they can use their degree? I think there are two separate questions. The affordable part is a huge issue. The cost of higher education has certainly been a big issue in the public eye the last three to five years. For me it is really a matter providing scholarship money and having a very focused effort on increasing our endowment and our scholarships. I want to make sure any student that's accepted into Eastman and really wants to be here, that we're going to find a way to make it affordable for them. That is really all a matter of how much scholarship money we have. For me that is a matter of finding those people who care about the future of music and want to partner with us and help us so that we can raise that money and have that money available for students. That's the affordable part of it. The "What are they going to do with it when they leave?" is another. Does Eastman provide services, counseling for career planning? We have a vibrant career services office. It's not a job placement service. Going back to the very first performance, music has been a competitive area. When the RPO has a position for a violinist, I don't know how many applicants they'll have. But let's say they invite 50, 70, or 80 to audition. Only one person will get the job. It's a focus on who is the best prepared, who has the most artistic excellence, who is the person that will thrive in that. Excellence prevails; we can't move away from that. All we can do is prepare our students to be the most prepared and the most competitive for when they go out for jobs. It's always been that way. There's never been a time when there's a violin opening and only four people showed up. Still there are many fields in which a trained musician can end up. It's not just "Oh, you start a band, or you join a symphony orchestra." I don't think that's any different today than it was 50 years ago. There are those positions that are full-time, and there are very few of them, and then there are those that people put together as a career, and that's why we have the Institute for Music Leadership which is really trying to encourage students to be entrepreneurial and make their own careers. Look at many of the RPO musicians: they play in the RPO, they probably teach either for our community school, or Hochstein, or maybe a school in the area, they probably do other things on the side. It's putting those things together that makes for a full career. That's what the industry has always been. It is a matter of how can we prepare our students to be aware — I don't want to dampen their spirits or enthusiasm, but they also have to go into this eyes-wide-open and leave here eyes-open that that's what the world is. They have to leave this prepared to be able to make a career for themselves in that world. How does Eastman prepare students and gives them a little of that reality? About 15 years ago, Eastman created the Institute of Music Leadership and a lot of it was to say there's a lot a student learns after they leave, they learn it on the job. Why do we leave it to that; why not prepare them now? We have courses in things like grant writing, copy right law, music and the law, recording, recording techniques. We offer courses in those things that in the past one would just learn after. How to win an orchestral audition? We have a course in that. It doesn't guarantee it, but it gives our students the edge over others. Most of these courses are taught by people who this is what they've done, it's not just academic. Are there any changes you hope to continue as dean that were implemented by Doug Lowry? He was a close friend, and there were so many things we worked on together. One of those things we worked on together is really having a presence in New York City. I'm committed to that. That's where our greatest concentration of our alumni are; it's one of the cultural capitals of the world; so I very much plan on continuing that and amplifying it greatly. Go behind the scenes of CITY's photoshoot with Jamal Rossi in this minute video.